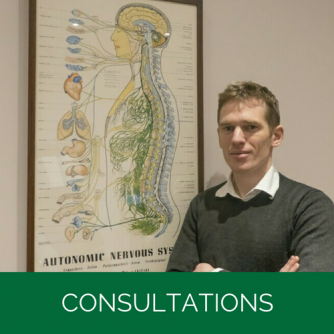 The chiropractic consultation is where it all starts. 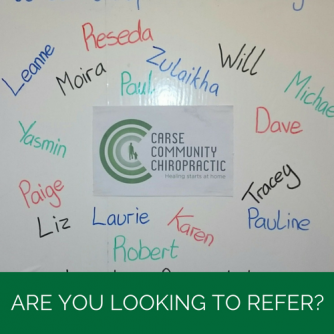 The aim of this appointment is to find out whether or not chiropractic is for you and if not, who can help you. In order to do this, you will fill in a short form detailing why you are here, previous problems, any other symptoms, medical conditions and medication/treatments received. As well as what might be reducing your current health we will look at ways that you are contributing to your health by looking at your nutrition and supplementation, physical activity levels, areas of your life that are being affected and ultimately how you would like to benefit from chiropractic care. We will expand on this information in a one to one consultation and if you are happy too we will proceed with an examination to ascertain if chiropractic care is for you. 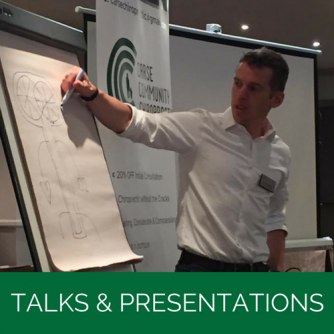 Following the examination, I will explain your findings, how they relate to chiropractic and your reasons for coming here and aims of chiropractic care. We will present our recommendations for care and if you are happy to wee can begin care at the consultation.